Despite Prohibition, the '20s was the decade of jazz, flappers and hip flasks. While some took their vote and joined the Woman's Christian Temperance Movement, others, well, took liberties. Compiled here for the first time are more than 200 publicity stills and photos of some of America's first 'It' girls—the silent film-era starlets who paved the way for the cacophony of Monroes and Madonnas to follow. 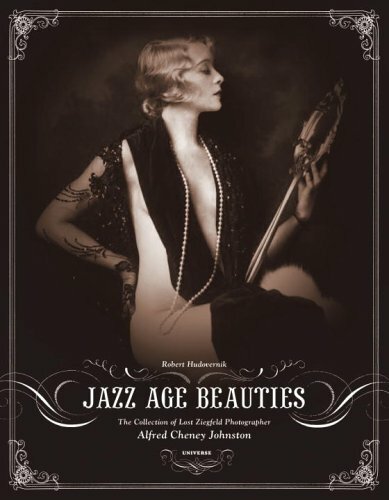 Accompanying these iconic images are the stories behind them, including accounts from surviving Ziegfeld Girls, as well as ads featuring them that helped perpetuate the allure of It girl glamour. When rare and striking portraits of these women surfaced on the internet in 1995, author Robert Hudovernik began researching their source. What he discovered was the work of one of the first 'star makers' identified most with the Ziegfeld Follies, Alfred Cheney Johnston. Johnston, a member of New York's famous Algonquin Round Table who photographed such celebrities as Mary Pickford, Fanny Brice, the Gish Sisters, and Louise Brooks, fell out of the spotlight with the demise of the revue. A sumptuous snapshot of an era, this book is also a look at the work of this 'lost' photographer.